Recently, we’ve discussed the pros and cons of virtualization, how it compares to the cloud, and how to plan for it. In this post, we’ll explore Cisco’s StackWise Virtual technology; what it is, how it works, and whether it’s right for your enterprise. The StackWise technology has been around for some time, you might know it as Virtual Switching System, or VSS. Cisco has simplified VSS and given it a rebrand. Until recently, the technology was only available for the Cisco Catalyst 3850 series switching platform. Cisco announced in 2018 that it’s now available for the Catalyst 9000 series as well. Cisco StackWise Virtual uses StackWise cables to combine two Catalyst switches into a single logical switch. Each switch has a large number of ports that offer a single point of management. One switch acts as a control and management master and the other becomes a standby. These two physical switches act as a single switch using a 40G or 10G Ethernet connection. From a management and control perspective, the technology uses the virtualization of multiple physical switches into a single logical switch because of the common control plane. Cisco StackWise also scales system bandwidth with distributed forwarding plane and the recommended network design helps build resilient networks. Virtualization offered by StackWise Virtual offers a distributed stacking mode that, rather than stacking at the individual system level, delivers the benefits of stacking at the network level. It is simple: The StackWise cables make it easy to virtualize two Cisco Catalyst switches into a single logical switch. It’s also easy to manage. It is scalable: The fully distributed architecture increases network bandwidth for improved user experience. It is reliable: Stateful Switchover (SSO) technology in the unified control plane allows for non-stop business communication. It is manageable: There is a single management plane that operates as a single entity. It integrates with Cisco APIC-EM and Cisco Prime Infrastructure management applications. Is It Right for Your Enterprise? 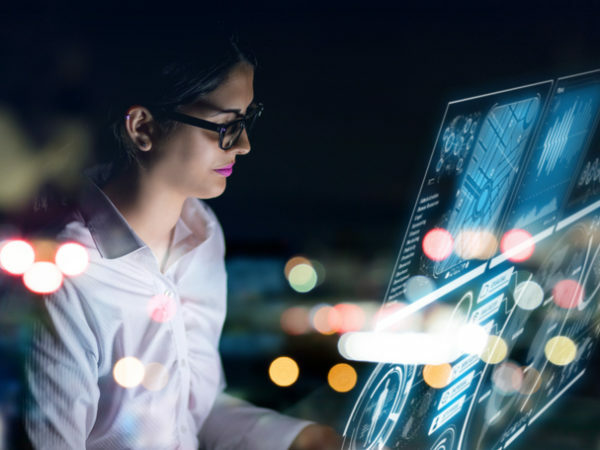 Cisco has said that their StackWise Virtual technology can enhance all areas of network design, including high availability, scalability, management, and maintenance. But what does that mean for you? The first thing to consider is price. Cisco is not known for having the most affordable equipment and investing in this technology may not be within your budget. There are alternatives to buying brand new Cisco equipment, such as buying used or refurbished. You may also want to consider how exactly you plan to deploy this technology. StackWise Virtual can be deployed at either the distribution layer or the core layer. It’s not recommended for deployment at the access layer. There are limitations at this layer, for successful deployment, all connecting devices must be dual-homed to both stack members. Also, for large, distributed offices, either on campus or with several branch offices, it can only be deployed at the distribution layer or a collapsed core/distribution layer. Lastly, consider licensing. Cisco often will not offer support without an active license. To deploy StackWise Virtual you must have either an IP Base or IP Services Cisco IOS Software license. The Choice is YoursAt the end of the day, it’s up to you whether you think Cisco’s StackWise Virtual is the right virtualization solution for your enterprise. For more resources into all things IT, check out our blog.